Want to know The Baahubali Fitness Regime? Here it is! By now everybody knows who Baahubali is, and we are sure everyone is eagerly waiting to figure out “Why Katappa Killed Baahubali?” But, That is something for which people need to go to theaters to find out. Here we are to discuss the fitness regime and transformation of the Man himself, The Baahubali as we know, Actor Prabhas. Prabhas underwent a noticeable physical change for portraying the role of two generations of the character Baahubali, as son Mahendra and father Amarendra, In Baahubali: the beginning and Baahubai: The conclusion. He was trained by professional Bodybuilder Lakshman Reddy, who hails from Hyderabad and is the winner of Mr. World 2010. Mr. Reddy in an interview reveals how Prabhas managed to fluctuate the body weight and maintain a tough body. Mr. Reddy reveals Prabhas weighed some 100 kilos for playing the part of Amarendra Baahubali but his role as Shivudu, as seen in Baahubali 1, required him to sport a toned body. Mr. Reddy told mid-day, “As Baahubali, Prabhas had to build a lot of muscle and for the son’s character, Shivudu, he had to look lean. His physique fluctuated for more than four years; that was difficult. Prabhas weighed almost 100 kgs with his body fat percentage staying in the range of 9-10. For the younger character, he had to build a toned body with minimal muscles”. He revealed, “Prabhas’ training regime, shooting schedule and diet for Baahubali 1 and its sequel were an absolute contrast…He would have six meals with egg whites, chicken, nuts, almonds, fish and vegetables thrown in. 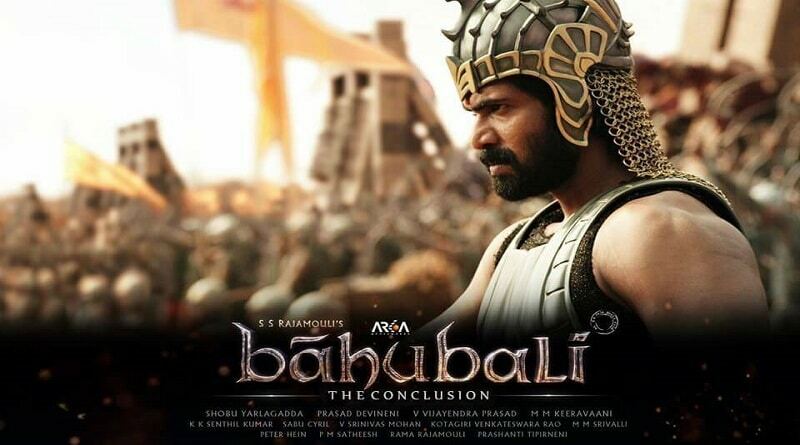 For Baahubali prep, he had eight meals a day, carb-heavy with cheese and mutton. In the evenings, we had weight training sessions, which included dead lifts, squats, bench press and other rigorous exercises”. Mr. Reddy added, “He loves biryani, so he was allowed that. At times, he’d ask for junk food. I was strict but understood his cravings. I was continuously monitoring his food intake and workouts…He would shoot for hard-core stunts and by the end of it, be tired, but never missed the workout. There were days when we would start exercising at midnight. His dedication was amazing”. Baahubali: the Conclusion is set to release in Tamil, Telugu, and Hindi on 28th April 2017.